In the summer of 1845 the four greatest ballerinas of the time – Marie Taglioni, Carlotta Grisi, Fanny Cerrito and Lucile Grahm – happened to stay in London. Benjamin Lumley, Director at His Majesty’s Theatre, decided to use the occasion and brought together on one stage the four ballet stars to dance for Her Majesty Queen Victoria. Jules Perrot choreographed a ballet divertissement, each variation of which displayed the best artistic features and ballet technique of each ballerina and had their names. Every variation revealed the character of ballerina; the final dance and succession of variations formed one logical action. The opening and the final of the performance were the same – as one composition. Unfortunately the original choreography was not preserved. In 1941 the ballet was restaged by English ballet dancer and choreographer Anton Dolin and it was dedicated to the famous work of Jules Perrot and the four famous ballerinas. Pas de Quatre is successfully staged in different theatres of the world. 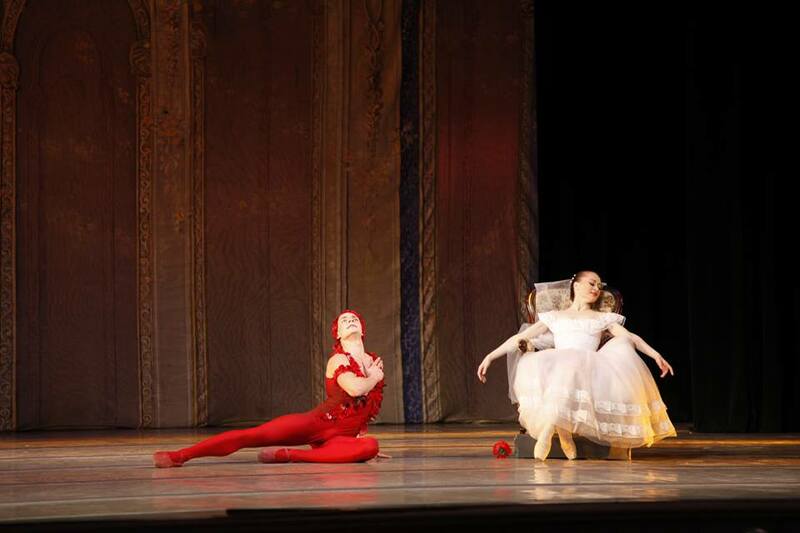 Lviv National Opera stages this ballet for the first time. Michel Fokine choreographed the ballet to the music by Carl Maria von Weber. The plot is based on the verse by the French poet Theophile Gautier. Ballet master Michel Fokine was charmed by this verse and has converted it into artistic plastic ballet form. 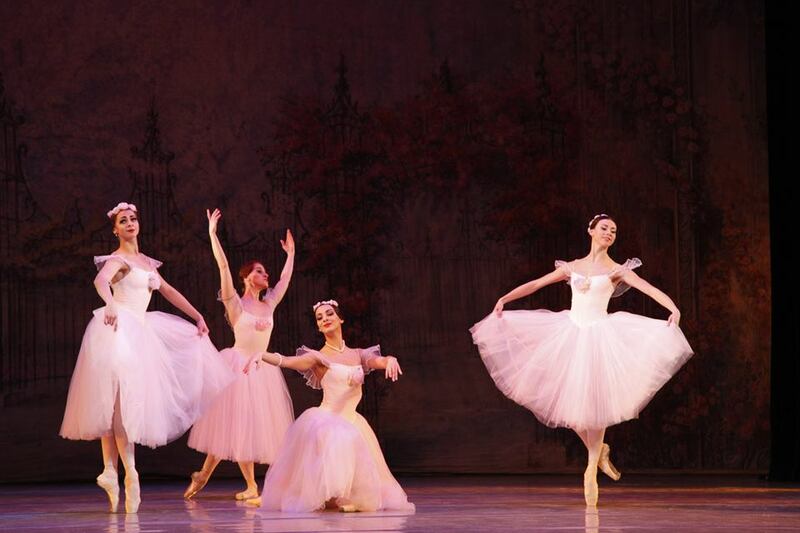 The ballet was first presented in Monte Carlo on the 19th of April 1911. 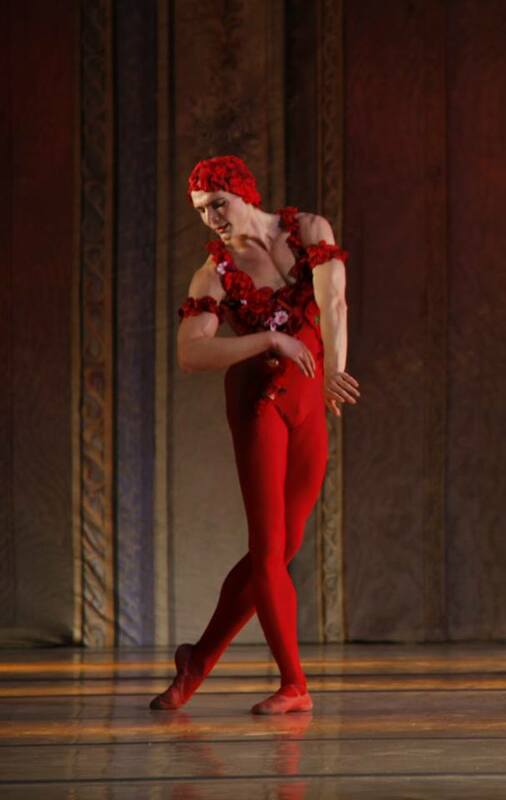 Vatslav Nijinsky, who was called “The God of the Dance” by his contemporaries, danced The Rose. 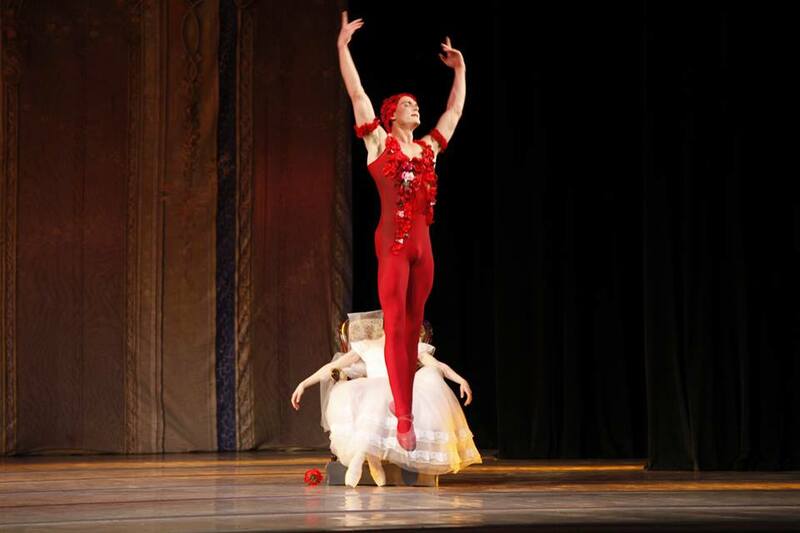 The ballet combines the classical pas de deux by Fokine, unique dance technique and virtuosity of Nijinsky and romantic plot of Gautier’s verse. The young lady in a ball gown enters the room. She has returned home after her first ball. She drops into an armchair and falls asleep. The rose, presented to her by a charming prince, falls from her fingers. All of a sudden a strange but very beautiful illusion which combines the reality and her dreams appears in the moonlight. The Spirit of the Rose leaps through the window and asks the girl to dance. “I am the ghost of the rose that you wore to the ball yester-even.” This is dance of spirit, dance of dream, of aroma of the rose and tenderness of its petals. This dance of continuous movement and expressiveness leads them back to the armchair. The Spirit of the Rose kisses young lady and leaps through the window into the night. The young lady awakes, picks up the rose and kisses it. Music by M. Pachelbel, G. Handel, C. Gluck, A. Vivaldi, E. Bosso and A. Marcello. 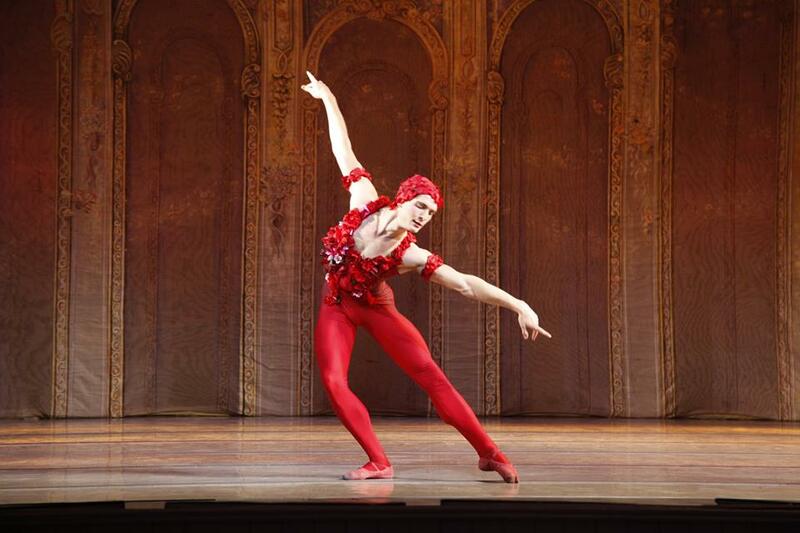 Choreography, production and costume design by A. Shoshyn. “Closer than Love” is one act ballet about the greatest feeling in human life. We observe the development of love, its growth from tender relationship through love flourishing and parting to the remains of the feeling – devastation and fear of loneliness. Every duet shows one of the stages of such development and expresses exciting story about psychological illusions and nerve-racking passion. Every dance asks what real love is and whether it exists in the world. 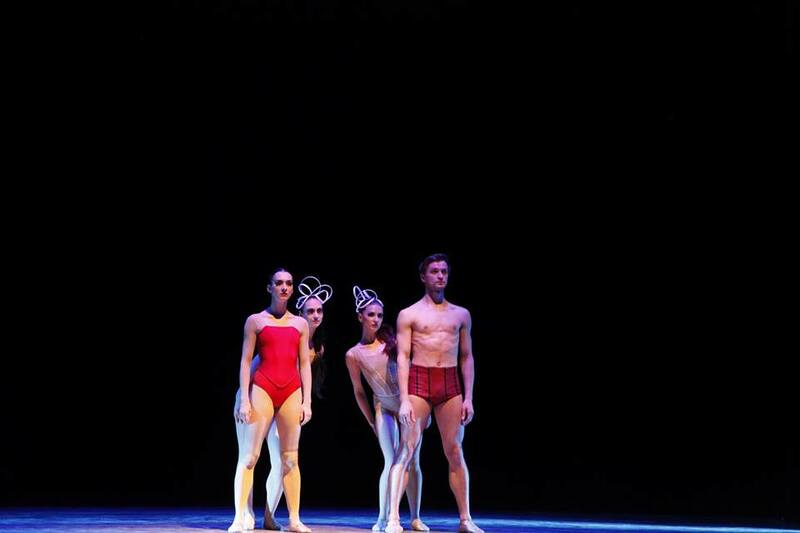 “Pas de Quatre” is a ballet divertissement to music composed by C. Pugni, representing Romantic epoch. The ballet was choreographed by Jules Perrot in 1845 for Queen Victoria. It brought together, on one stage, the four greatest ballerinas of the time –Lucile Grahn, Carlotta Grisi, Fanny Cerrito, and Marie Taglioni. 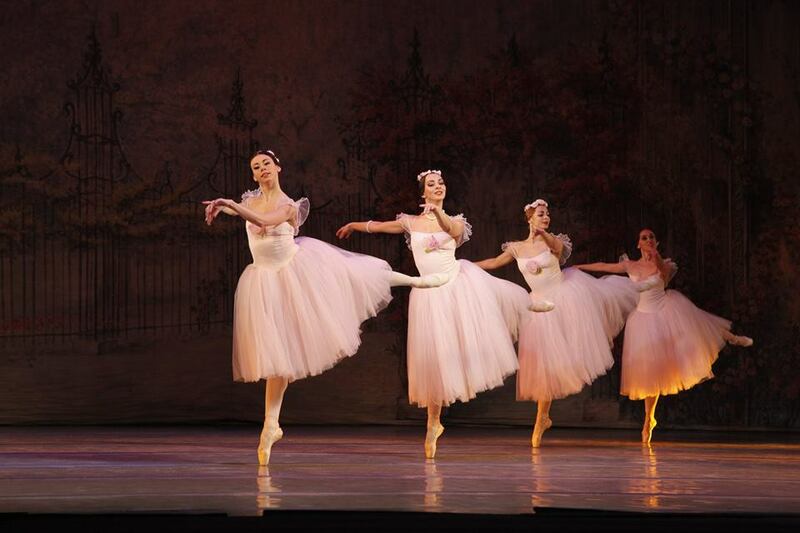 “It took Perrot a lot of time and diplomatic talent to persuade these four ballerinas to dance together. We have little information about the original performance. The ballet we are putting on is our interpretation of these great ballerinas’ performance, “said Nataliia Sharova, a choreographer from Philadelphia. “Le Spectre de la rose” (The Spirit of the Rose), composed by C.M. von Weber, is a Romantic ballet with classical style choreographed by M. Fokin. “Closer than Love” Music by M. Pachelbel, G. Handel, C. Gluck, A. Vivaldi, E. Bosso and A. Marcello. Choreography, production and costume design by A. Shoshyn.